These days in vogue are designer rakhi with new styles and shades. 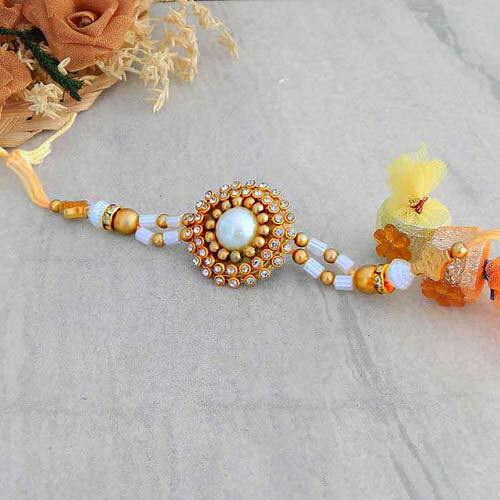 Send this beautiful rakhi to your brother to add more beauty to your sister - brother relationship. This rakhi is pierced with translucent crystals, seed beads and a freshwater pearl. The thread is exclusively designed with bugles, carved beads and seed beads..